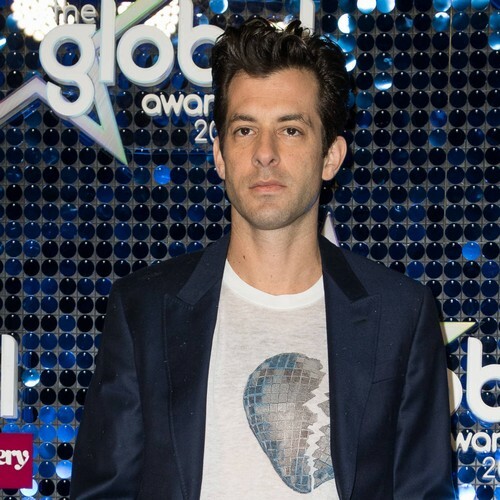 Mark Ronson won't work with rappers like Cardi B and Future just to make a hit record. The British musician and producer has been a fixture in the hit parade since making his breakthrough in 2003 with Ooh Wee, a hit that featured rap icons Nate Dogg and Ghostface Killah. However, he only has one U.S. and U.K. number one single to date, his 2014 collaboration with Bruno Mars, Uptown Funk, but says he's in no rush to seek out chart-topping hip-hop stars like Cardi to bag a second. "What I can do is make the music that I make and be smart about it and weight it as much as I can to make sure that it has a good shot," he tells Britain's Music Week magazine. "But am I gonna throw Future or Cardi B on (a song) just for the sake of a bunch of rap playlists if it doesn't feel right for the song? Probably not." Explaining his motivation, he adds: "As long as I make music and everybody goes, 'Man, that's a great record,' that's all I care about," he said. "Of course it's a thrill when you get a No.1, like with Uptown Funk, it's fun to read about that but it's not why you make the music." Although he is sceptical of working with rappers he doesn't feel fit his music, the Nothing Breaks Like a Heart hitmaker, 43, is fine with artists like Cardi, Drake, and Post Malone dominating the charts, as it reflects youth culture. "It's cool that local hip-hop artists are dominating the charts, especially in the UK and France," he adds. "The charts should reflect what kids listen to, what the zeitgeist is, and it's true, that (rap) is the dominant thing. For a long time, rap was the dominant cultural force but maybe wasn't fully reflected in the charts because the way people listened to it wasn't strictly sales-based."